There are some significant changes planned to affect the London transport network in 2019 and beyond. These include new cycling routes and changes to London’s bus networks. Discover how taxi drivers could be affected as the capital continues to adapt to demands from a growing population. Central London has dramatically changed in recent years due to rapid population growth, and it appears there is still more to come. While it’s a good thing that our infrastructure is being modernised to match the needs of the city, the effect of these changes on traditional forms of transport is something all taxi drivers need to consider. Alternative transport methods that are more efficient and reliable could potentially reduce the demand for taxis in the capital. Let’s take a look at some of the most significant changes to come in 2019 and beyond. How will new initiatives impact the demand for taxi services? Transport for London (TfL) recently revealed plans for further improvements to the city’s cycling network. This is to offer more accessible routes for all Londoners in the hope of reducing the higher levels of congestion and pollution caused by other means of transport. The new cycle network, that includes a segregated route in south east London, will also improve pedestrian facilitates and public spaces between Tower Bridge and Greenwich, significantly reducing danger to vulnerable road users, according to TfL. These plans to construct around 4km of segregated cycle track, which are now subject to final approval, will be put into motion this summer. Also, forming part of TfL’s Vision Zero commitment, the new route should bring London’s roads closer to its goals to eliminate death and serious injury caused by road traffic accidents. This new cycling network may lead to a number of people taking to riding their bikes, but as already stated, a growing population and ever-increasing visitor numbers should still ensure cabbies have plenty of work – at least for the foreseeable future. Whether you need private hire taxi insurance or cheap taxi insurance for public hire cabs, get a quote from ChoiceQuote for quality insurance at competitive prices. Are Londoners ready for the next generation of e-bikes? Uber-owned bike rental company Jump will soon be rolling out its electric bike hiring services across major cities in Europe, including London. The worldwide ride-hailing service Uber, who cab drivers will already be familiar with following the mass controversy surrounding its new-found dominance in the taxi sector, are set to once again shake up the way modern transport works. By using the app, customers can effectively rent electric bikes for short journeys in the same way they book cars. These bikes are electric-assisted and they are designed to provide a more appealing experience for riders looking for an alternative to other means of transport. When will Crossrail actually open? The reveal of the new Crossrail network was delayed indefinitely last year. While it is uncertain when we can now expect the project to be delivered, its impact on certain journeys for taxi drivers, such as ferrying passengers to and from Heathrow, will not be affected as of yet. The delay, which has been attributed to various reasons including a lack of budget, was initially set to open in December 2018, before being pushed back until autumn 2019. This further delay has added to the existing hurdles the project has faced along the way towards completion and opening to the public. There have been fears amongst the taxi industry that the ability for drivers to perform their remit could be negatively impacted. This is due to the restrictions on the surface transport network and the impending opening of the Elizabeth line. In the short term at least, cab drivers can continue to navigate their existing routes as usual. Will London’s new bus network be an improvement? London’s new plans to overhaul its bus network have been revealed. This change, which is the biggest we’ve seen for 16 years, will affect over 33 routes according to TfL. The proposals are designed to “modernise” the capital’s bus network by allowing it to grow to meet the population’s needs in outer London while adapting services that are underused in the city centre that contribute to congestion and pollution. While it’s unclear how individual routes will be impacted specifically, three routes face being cancelled completely, 13 are set to be modified and eight will see a reduction in frequency. Taxi drivers will want to pay attention to the impact of these changes on local residents and the changing demand for cabs in certain areas. For instance, the 48 from Walthamstow to London Bridge and the 271 (night service) in north London and the RV1 from Covent Garden to Tower Bridge may well face extinction in time to come. Do you want to find out more about public hire or private hire taxi insurance? Contact ChoiceQuote today on 01625 885 046 or get a taxi cab insurance quote online. Where do taxi drivers fit in? Taxi driving is an old and almost immortalised profession in all of the world’s major capitals. 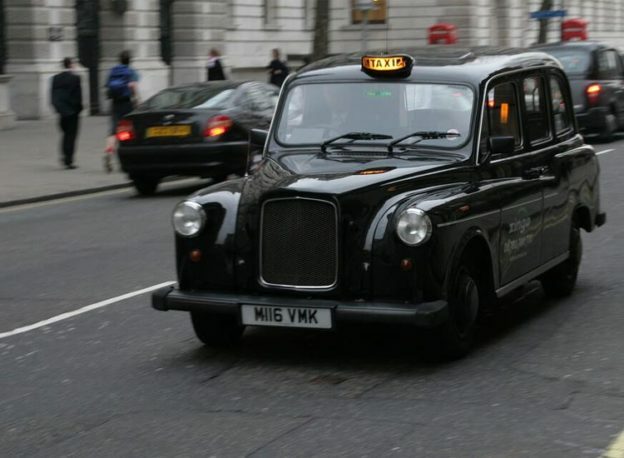 While black cabs and various traditional taxi companies still frequently dot the urban landscape, it’s clear that those in the profession should be aware of the factors at play as they contend for customers against new infrastructure and competition from companies like Uber. That said, the city of London shows no sign of slowing down in terms of its population growth, and old habits certainly die hard. We’re not quite at the stage when autonomous cars will shake up the whole industry, but with the city adapting to the times and its changing needs, it would be wise to keep track of London’s changing travel plans this year and beyond. Whether it’s new road regulations or changing travel plans, always protect your business with an added layer of security with comprehensive taxi insurance. There’s no better time than now to make sure you’re covered as the life of a taxi driver continues to present you with various challenges. And remember, ChoiceQuote covers the whole of the UK, so even if you’re not in our capital city, we’re looking out for you. Call us on 01625 400201 for a great value taxi insurance quote today.